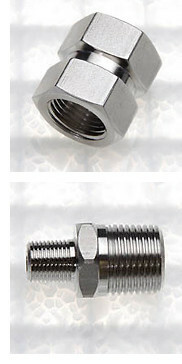 The following pipe fittings are stock items for Swiss Precision. Threads meet ANSIB2.1 for tapered pipe threads (NPT). They are compatible with all piping systems. All items are individually packaged and labeled for ease of use.